The School Resource Officers Section is supervised by a Sergeant and has 10 Deputies assigned to the section. Officers are assigned to various schools within two of the school districts in the outer areas of El Paso County. 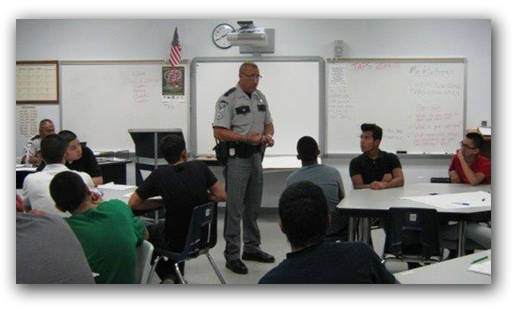 In addition to providing daily security for staff and students, School Resource Officers provide the students with presentations on various topics to include but not limited to anti-bullying, cyber-bulling, drug use, dangers of sexting, conflict resolution and law various enforcement topics.